Because the body’s own hormones convey messages throughout the body in tiny amounts, extremely low levels of chemicals, including many used in personal care products, may have serious effects on metabolism, reproductive development and risks for later life disease. For centuries, the prevailing wisdom was that “the dose makes the poison.” This theory was put forth by Paracelsus, a scientist and physician during the 16th century European Renaissance. His idea was that any substance was a poison if you ingested too much of it and that any substance could be safe if the exposures were small enough. 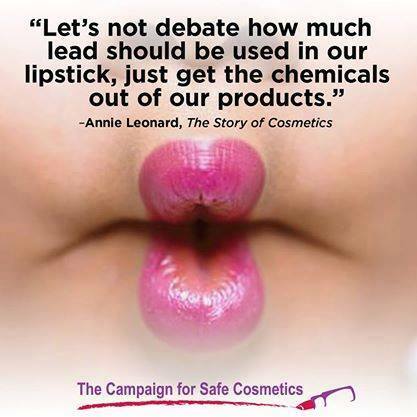 Since this time, evidence has emerged to demonstrate that there are no safe exposure levels for some chemicals. 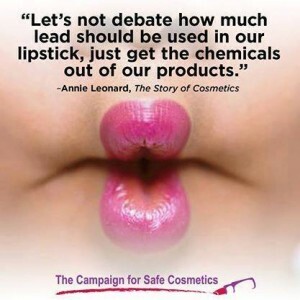 For instance, lead can affect brain development even at parts per million. Except in cases of accidental or occupational exposures, most exposures to chemicals occur at “very low doses.” Most chemical safety studies look at the toxic effects of higher doses of chemicals and then assume decreasing toxicity with lower doses. Yet substances that disrupt the body’s own hormones — known as endocrine-disrupting compounds (EDCs) — can exert important biological effects at low doses similar people’s real-life exposures. These effects are often qualitatively different from those found in traditional toxicology testing. The timing of these low dose exposures also matters. Low dose exposures at certain points in development – prenatally, during puberty, etc. – may have stronger or qualitatively different effects on health. Vandenberg L.N., Colborn T., Hayes T.B., Heindel J.J., Jacobs D.R. Jr, Lee D.H., Shioda T., Soto A.M., vom Saal F.S., Welshons W.V., Zoeller R.T. and Myers J.P. (2012). Hormones and endocrine-disrupting chemicals: low-dose effects and nonmonotonic dose responses. Endocr Rev. 2012 Jun;33(3):378-455. doi: 10.1210/er.2011-1050. Diamanti-Kandarakis, E. (2009). Endocrine-Disrupting Chemicals: An Endocrine Society Scientific Statement. Endocr Rev, 30, 293–342. Welshons, W., Nagel, S., & Vom Saal, F. (2006). Large effects from small exposures. III. Endocrine mechanisms mediating effects of bisphenol A at levels of human exposure. Endocrinology, 147, 56–69. President’s Cancer Panel (2010). Reducing Environmental Cancer Risk: What We Can Do Now. 2008-2009 Annual Report of the President’s Cancer Panel. National Cancer Institute. Available online http://deainfo.nci.nih.gov/advisory/pcp/annualReports/pcp08-09rpt/PCP_Report_08-09_508.pdf. Accessed January 15, 2015.